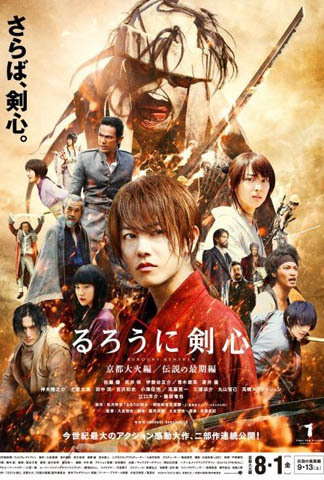 Rurouni Kenshin: Kyoto Inferno is a good sequel to 2012’s Rurouni Kenshin. Having the same director and actors who reprise their roles, Kyoto Inferno still has those edgy, power-packed action scenes and the exciting plot twists that reminded me of what Samurai X (the anime the movie was based on) has been. The movie continued where the first movie left off: the peace the Japanese people were having under the Meiji government was interrupted when a great threat suddenly appeared to cause havoc in Japan. Oh how I missed the fancy characters that helped defined a part of my growing up years! After watching just a few scenes with the characters onscreen, I started to be hooked. Two of these characters were Kenshin Himura, the legendary assassin named Battousai who vowed never to kill again, and Makoto Shishio, the ruthless assassin who came up next after Battousai retired and who’s considered the great threat to the Meiji government. These characters were deftly acted on by Takeru Satoh (as Kenshin) and Tatsuya Fujiwara (as Shishio). I continue to like how Takeru moves like the legendary samurai and somehow, I find Tatsuya’s subdued performance in his vicious killer role something of an indicator as to how he will fare in the next Rurouni Kenshin movie. Ah, yes, the next movie in line is going to come out next month! And I think this is planned for a very good reason. Probably a lot of viewers of the film will find Kyoto Inferno lacking, as the storyline is cut off to pave way for the third movie. Kyoto Inferno’s got good action and all but I won’t hide my disappointment because it lacked what I was imagining it to be. No real great face-offs transpired in the movie and what the viewers were left off is foreshadow of what’s to come out next month. Besides, I found some scenes too much staged and choreographed. As a result, the acting of some supporting actors and extras hired to be on the backdrop seemed to be very unnatural. But, let’s not undermine the goodness we’ve seen on the film. Kyoto Inferno was filled with beautiful sceneries to show the viewers how beautiful Japan was during the mid-19th century, the start of the Meiji period. Rough neighborhoods, lively markets, rowdy streets and spirited dojos were just some of the settings brought out alive by the production team. The pacing of the film was just quite right as what story the movie needed to tell was for the most part, successfully told. Meanwhile, aside from Takeru and Tatsuya, Muneta Aoki, Tao Tshuchiya and Ryunosuke Kamiki played their parts, respectively, as Sagara Sanosuke, Makimachi Misao and Seta Sojiro all too well. It’s fun watching them as they’re really into their characters every time they’re seen. September can’t come sooner to finish the saga of the famed samurai with the X scar. 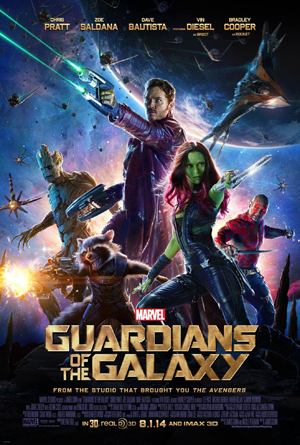 We can just hope that the third movie will be the best of the three.